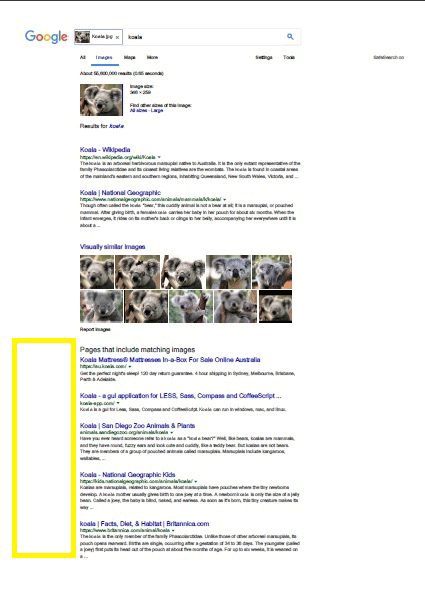 Home > Google News > Did Google Change The Reverse Image Search? 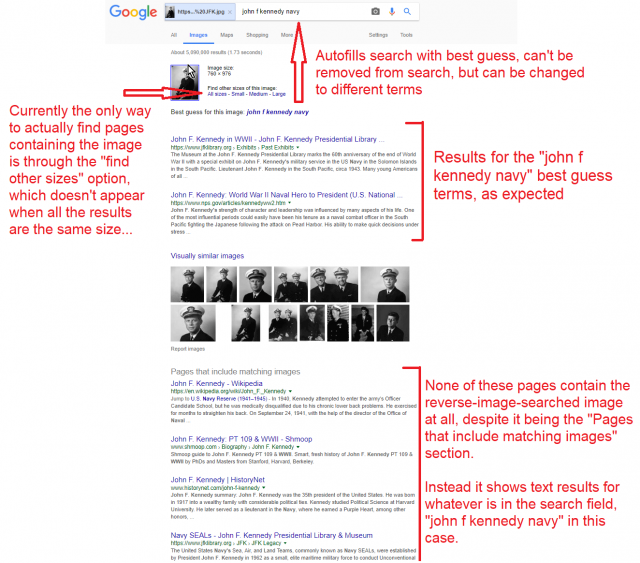 Did Google Change The Reverse Image Search? Over the past few days, I have been hearing complaints on Twitter and Google Web Search Help forums about the reverse image search feature in Google not working as expected. It seems Google either intentionally made a change to how the reverse image search results work or Google has a bug with that feature. In short, previously this feature would show the matching image of the website but now it seems to show mostly just search results. 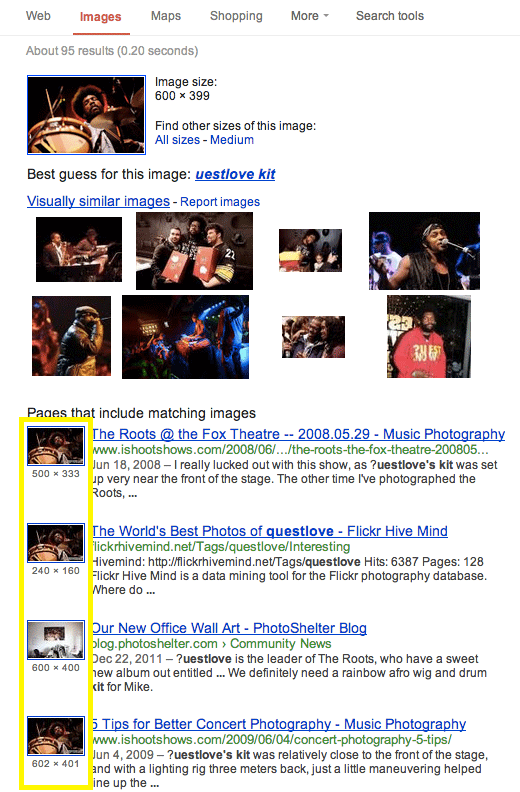 It would show an image thumbnail on the left of the search results snippets but that is gone also. Google has not responded officially about this change, so we are not sure if this is a feature or a bug. Forum discussion at Twitter and Google Web Search Help.